A new kind of business has emerged during the last decade. Facebook, Airbnb, YouTube, Twitter have exploded in popularity – but what do these companies have in common? They’re all platforms: they gather millions of users and achieve billion-dollar valuations, but instead of products, they offer something very different. 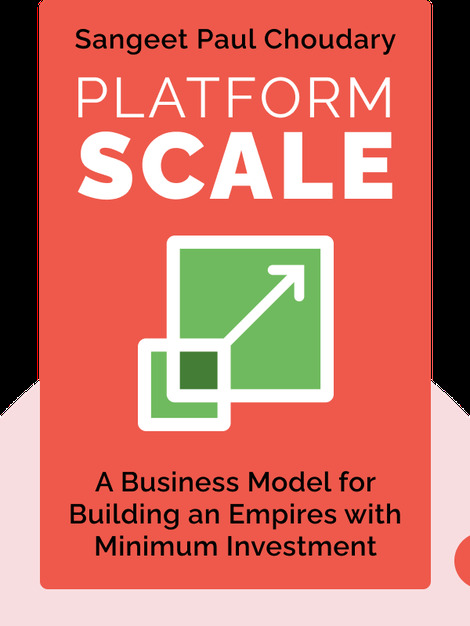 Platform Scale (2015) offers an insightful analysis of the mechanisms that drive this new platform business model, and how it achieves skyrocketing growth. 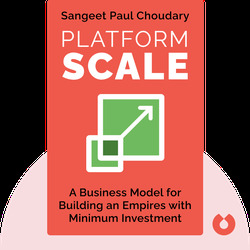 Sangeet Paul Choudary is the CEO of Platform Strategy Labs. He has written for several leading publications such as TechCrunch, Forbes, Wall Street Journal and Wired.